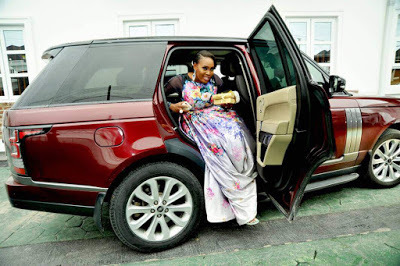 Hmmmmmm, so the reaper got another victim again and seemingly won another battle again at the weekend, as it took very untimely a life that was only just showing major promises and that's talking about the young mother of 1, the delightsome stunner and stylish Oyin Osinkalu. 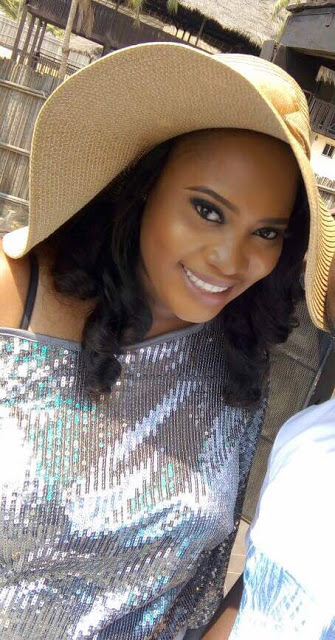 Friday, April 5, 2019 was the sad day, and it is a day that her family members, friends and associates would never forget in a hurry, as it was the day the super hard working and pretty 'Oyin' as she's called by all, succumbed agonizingly to her untimely death after a slight house accident due to some unfortunate health complications. With the unfortunate incident/accident Oyin left behind unfortunately, an adorable 3 year old son, who was her world. Like she had said to us sometime in August of 2018, her world revolved around the boy that she loved with her whole being and her passion, work. Quoting her "My son and my work are my life". The 37 year old, single mother of one by name Obaoluwa, would have clocked 38 year old this year if not for death that snatched her away in such a cold, remorseless manner. From what we know, she was a generous lady to a fault who would gladly give an arm tobl those close to her, who was also very fun loving, in fact from her days at the University of Ibadan, where she schooled for a bit and where she used to be the cynosure of all eyes then for her striking beauty and effervescent nature. She was always fun to be with and a life of the party. Oyin's life was lived like she was in a hurry to achieve so many things, so much in a very short period of time. Like she knew that time was against her and she must do things quickly to leave her mark on the sands of time. So she worked really hard, in fact extremely hard and also had fun as much as she could too, in a perfect mix. But like a candle in the wind, her light has been blown out prematurely. She was until her death, the Executive Chairman (chairperson)/CEO of her own property development and construction company by name 'Twin Passion Ltd", a company she owned solely. And in a short period of the existence of the property firm, she had built and was building a fantastic resume of properties. 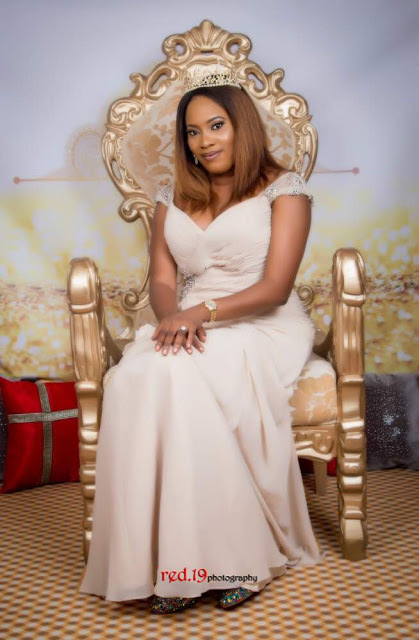 She began in 2013 at Agungi in Lekki, with a block of well appointed 22 flats of 2, 3 & 4 bedrooms called HoneyVille. 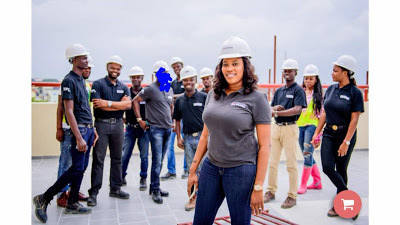 That HoneyVille was her first project, that she delivered to loud ovation then for someone that was just getting into the construction and the property business. That project signposted that she was going to be a force to be reckoned with in the business from then on. Thereafter she moved on to build her most famous project by which she became well known in 2015. And that property is the beautiful and quite functional water front project by Radisson BLU hotel on Ozumba Mbadiwe, Victoria Island, Lagos. It is another block of well appointed flats too, about 20 plus in all. This like we already said above was her most famous project and that might be because of the location of it. In 2016 she delivered another, her 3rd project a 24 flats property on Plot 18, Palace Road, Oniru. This streak for a yet to be 40 lady is quite remarkable. Oyin was well prepared educationally for the quick success that she had. After leaving the premier Nigerian University where she had begun to cut her teeth, that is the University of Ibadan then, she relocated abroad for a while. It was later in South Africa that she got her degree, a Bachelor of Commerce with Specialization in Management and Marketing from the University of South Africa in Pretoria with honors from the University of Wittwaterrand Johannesburg. Oyinade Osinkalu would be sorely missed by all and sundry, especially her doting family members, her friends and associates, all of who loved her to a fault, most especially her 3 year old son, who we know wouldn't have understood as at yet that his mother is gone forever, till the day of her resurrection. We were still with her earlier this year at the Traffic on the island where she hosted a few of her friends on just a normal weekend night. The stylish lady had no unnecessary airs around her, she was quite accessible. She would be buried pretty quickly too. May she find rest! Adieu Oyin. You came, you saw, you tried your best, but didn't conquer the arch enemy of man. Another very sad loss indeed, especially as it is near home. We commiserate with all who are close to her. Shame on you death!